It’s officially fall and that means the temperature has dropped by a lot or by just a few degrees depending where you live. Here in Houston, we don’t necessarily get a brisk “winter” but once the temperature drops to 65 and below we are dying and ready to bundle up! 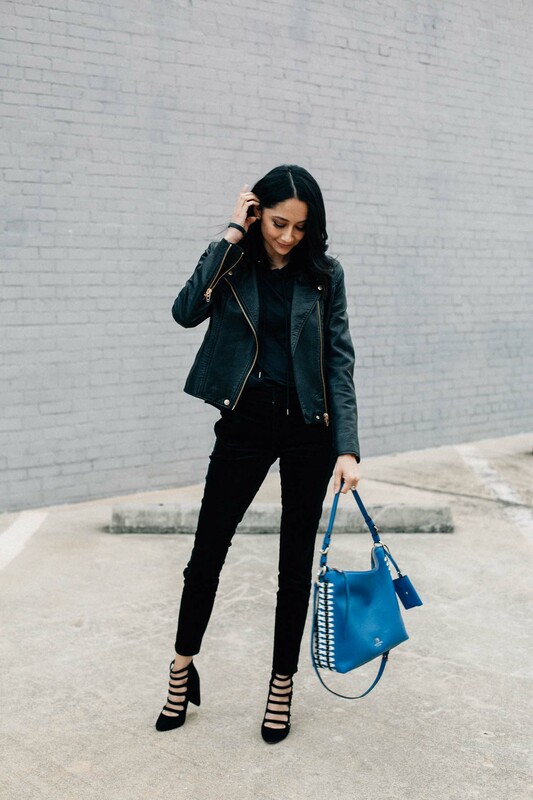 Sharing 10 fall outfit ideas below that can be worn by everyone. If you’re in a colder region, add dense tights and a bigger, warmer coat! For all my southern girl, these will work just great! 😉 Possibly on of my favorite fall outfits. Faux leather leggings, sneakers and a long coat. How do you like the leggings better dressed down like this or dresses up like I did up there with the blush blazer? I love the edgy vibes of this look. Add tights to keep your legs warmer. This is another perfect look for all my corporate girls. I love how a blazer can add a chic touch to an edgy look. It downplays the faux leather leggings and patent boots perfectly. Boots & socks? Yes please. This is another way to keep your feet warm in the fall and still get to wear your skirts. An all black outfit is perfect for the fall/winter months. Velvet pants are always so warm plus they can be used for a holiday outfit as well. This one is perfect for church, a day date or brunch with the girls. It’s also super cute for the office. More of this skirt here. 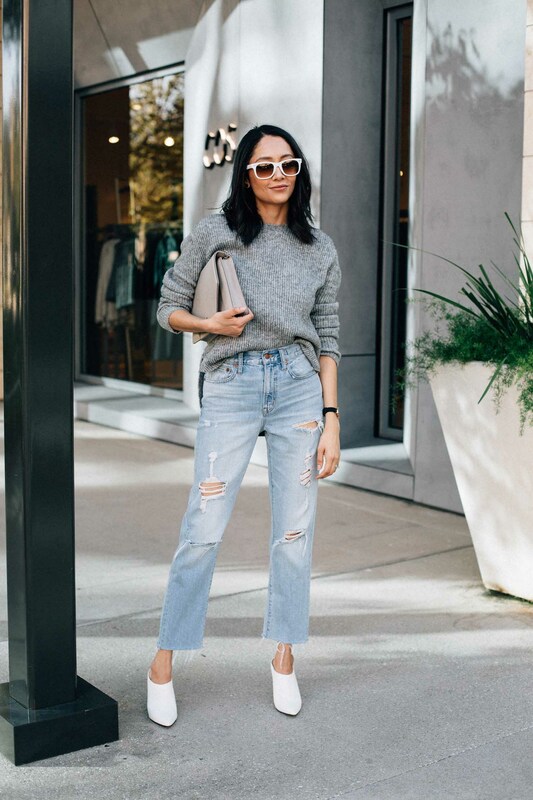 Casual denim and sweater look. I’d add some warm boots for colder weather. This fall outfit idea is great for a day of running errands or shopping. Did you know keeping your head warm helps maintain your bodie’s temperature? Aka, keeps your entire body warm. Thats why I always try to wear a hat during the fall. 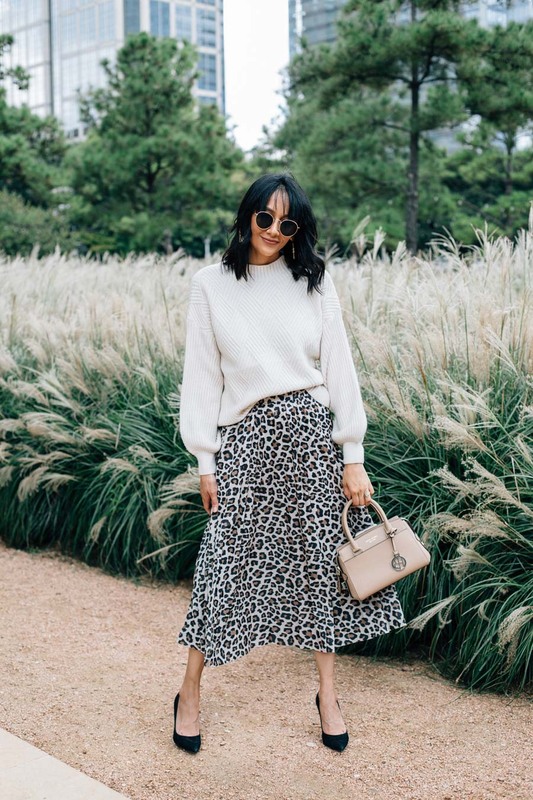 An oversized sweater with a midi skirt is one of my favorite fall looks. So chic, comfy and warm. Adding fun heels and fun accessories to a jeans and sweater look makes it 10 times dressier for any occasion. These are great investment pieces that can be worn over and over thought the season.